You’ll be able to play God Eater 3 on February 8, 2019 on PC, which puts this version out right alongside PlayStation 4. The apocalyptic world of the first two games hasn’t gotten any brighter this time around, as the expanding outbreak of Ash has pushed humanity’s resources to the limit, and disappearing access to water and land means the human race is close to extinction. Fighting back, as per series tradition, means hunting Aragami – the titular gods to be eaten. 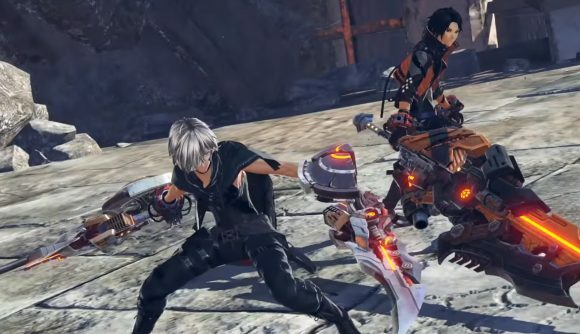 God Eater 3 looks to have a focus on high-speed combat replete with mid-air combos, which helps to differentiate it from its closest inspirations. With Monster Hunter World finally on PC, God Eater has some stiff competition – but the game has enough unique flavour of its own that some polish on this third entry could still ensure it stands out. You can see what it looks like for yourself in the trailer below. The studio’s other big game was initially scheduled for release a month ago, but a Code Vein delay means, improbably, that God Eater 3 is coming out first. Check out all the upcoming PC games – the early part of the new year is already crowded with new releases, so our list can help you navigate the waters in these trying times.